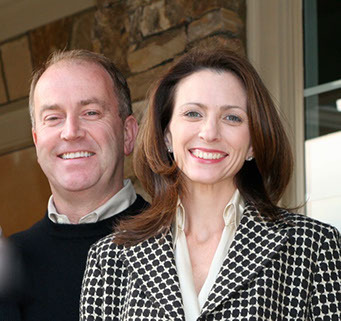 Terry Dobson has been building custom homes and creating renovated spaces for over thirty years, and has his Georgia Residential and Light Commercial license. He has a wide range of experience in renovating historical homes, total rehabs, custom new construction and “on a napkin” designs. With his vast knowledge base of both commercial and residential construction, he has completed numerous projects throughout the United States in various capacities from master carpenter to project manager. His experience includes over 20 years in public safety as well. This wide range of experience creates seamless solutions to any number of complex situations. It also translates into effective coordination from design to implementation with both trade partners and clients. Terry’s three sons are all college graduates working in their own field of expertise, including one in the United States Air Force. April Findley Dobson grew up in construction working with her family in Atlantic Beach, Florida and has her Georgia Residential Construction license. She opened A Change of Place Designs, Inc. in 1999 as an outgrowth of her artistic need to create beautiful spaces for comfortable living. April graduated from Lipscomb University in Nashville, Tennessee in 1989 with a BA in Political Science and Business, and worked on her MPA at the University of Florida, focusing her studies in Urban Planning and Design. She is also studying for her NCIDQ, the highest interior design certification ASID offers. In addition, she is a kitchen and bath designer with NKBA, working on her CKD certification. She is a member of Daughters of the American Revolution, Martha Stewart Bulloch Chapter as well. April also has three children including a son at UGA, a daughter at Samford University, and another daughter at Fellowship Christian School. Together, they merged their companies and their skill sets to create American Design & Build, LLC. They are both passionate about functional design, environmentally conscious building, and creative uses for the shelter that houses people and their pets, possessions and personalities. You won’t see a “trademark” ADB design; rather you will see what you have asked from them in a design that works for you and your lifestyle.